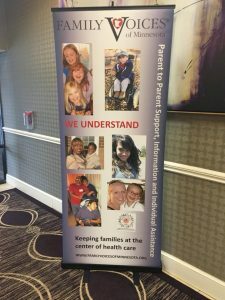 The CONNECTING HEARTS, RAISING VOICES statewide family conference was a success! 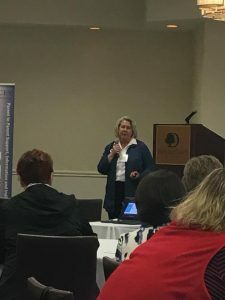 We had a great key-note speaker, awesome entertainment, and 10 fantastic breakout sessions covering a variety of important topics. Carolyn Allshouse, Executive Director greeting participants at the start of the conference. 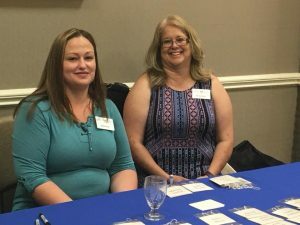 Kelly Korpella and Terri Boettcher, Parent Support Navigator’s greeting participants at the registration table. 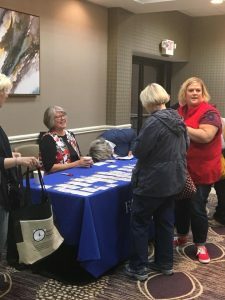 Rebecca Schlough, Parent to Parent Training Coordinator greeting participants as they register for the conference. 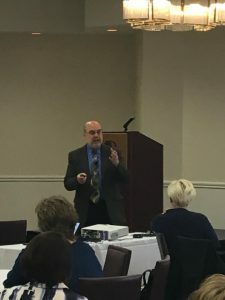 Dr. Bill Schwab presented on the importance of Patient and Family Centered care. 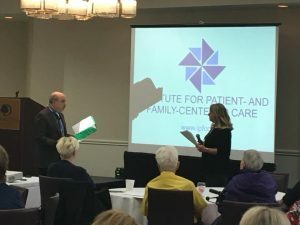 Dr. Bill Schwab and Tricia Brisbine, CONNECTED Program Coordinator doing an interactive role play during the presentation. Not Finding What You’re Looking For? Contact Us For More Information.